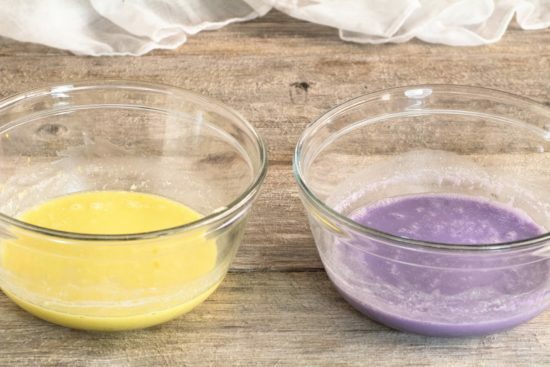 I love the delicate tastes that lavender has, especially when it’s paired with lavender! Have you tried this combination yet in desserts? If not, I recommend that you try it right away. 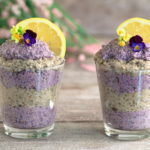 I know that it sounds weird adding lavender to food, but it works amazingly well. Simply combine the bases of each flavor. When you are making the lavender one, only add ONE DROP OF LAVENDER OIL AT A TIME as it can easily overpower everything. I added two drops to mine, but if you like it stronger you can add one more drop. Add coloring to each flavor if desired. You can find so many things to add color to things, or you can purchase vegan food coloring powders. Add the chia seeds and let it sit for at least one hour. You can let it sit much longer if desired, but it shouldn’t be less than an hour. Layer the two flavors together and serve. It will last up to three days in the refrigerator. 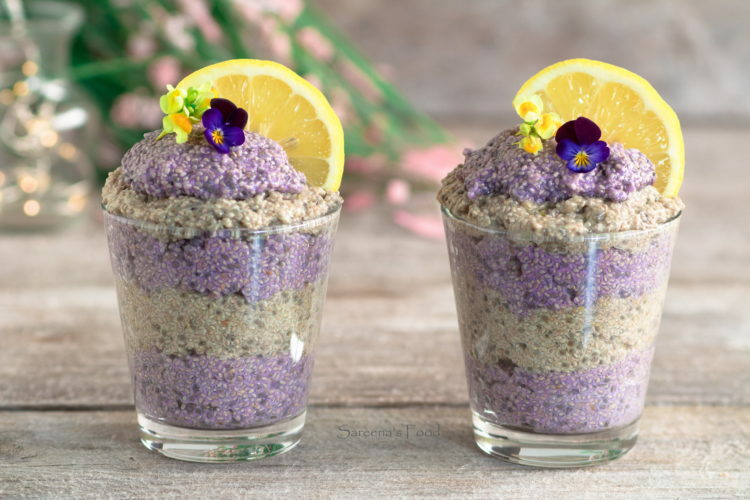 Combine the first 4 ingredients for the lemon pudding in one bowl and make sure you taste it before adding the chia seeds. Add the chia seeds, stir and refrigerate for 1 hour. 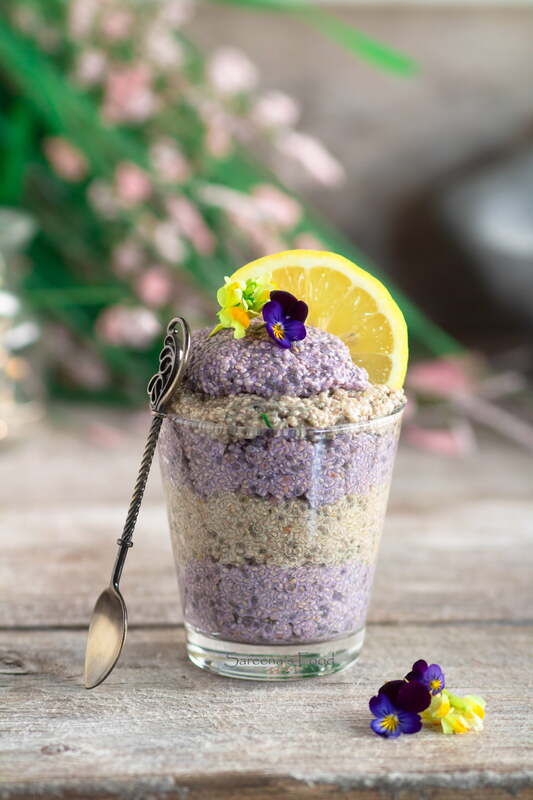 Combine the first 4 ingredients for the lavender pudding in one bowl and make sure you taste it before adding the chia seeds. 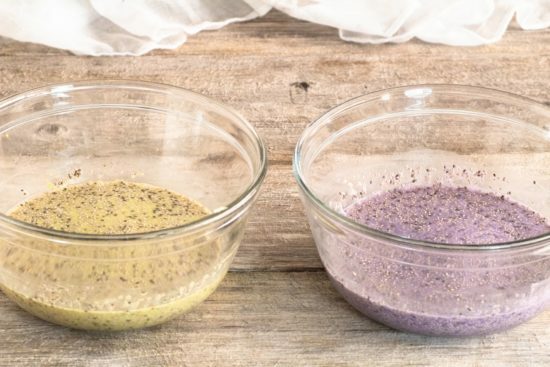 Only add the lavender oil one drop at a time Add the chia seeds, stir and refrigerate for 1 hour. Layer the two flavors and top with lavender flowers if desired.